Every hip-hop star has a great stage name, though few are born with it: Kanye, Usher, Lauryn Hill. As if to live up to the originality in his name, the hip-hop artist Tedashii, one of Reach Records’ top emcees, is a master at his craft. He understands the art of storytelling, and he’s got material. Below Paradise is Tedashii’s life from last year. After losing his son, he eventually reinvigorated a new fervor for his art, his new therapy, a way to spit out the slew of emotions he had inside. Now, after his latest release, he’s rebuilding his life on the road, and he needs your support. HM: How are you doing this morning? Tedashii: I’m doing well, thank you. I’m good. For the people who don’t know, tell them who you are and where you’re from. My name is Tedashii. That’s actually my real name. My birth name is just odd enough that I can actually use it as a stage name as well, so that’s what I do. I’m from the Houston, Texas area. I was born in East Texas and I currently actually live in the DFW Metroplex. You have your fourth solo record coming out this month? Yeah. Fourth studio album. The last record, Blacklight came out in 2011, and now it’s 2014. Talk about why it took so long between records. Blacklight came out in May of 2011 and I was able to promote it, tour and then the beginning of 2012 start doing the same thing again because it was only like a half a year. The plan was for a full year of promotion and stuff like that, but then that Fall I was about to do another tour. That delayed the album and recording. Then I was about to go on another tour in the winter, and that’s when it got delayed again. Then in March of 2013, after that winter tour, my one-year-old son passed, and that just put life on hold — not just music — but everything that was me and my family was delayed. How long did it take you to mentally get yourself prepared to finally pick up a pen and start writing again? I guess, in a sense, I never really put the pen down, but — for the sake of album, recording, being a recording artist again — probably around June or July of that year, about three months. There was always a burden to express myself in some way; either I’m writing stuff on a pad or I’m typing stuff in my notes on my phone. I’m doing something to create for myself a lane to just be expressive. Somewhere around July of 2013, I started writing again with an album in mind, trying to focus on how I can live in the new normal, with the old normal disappearing with my son’s passing . That’s kind of what happened. I started picking up the pen and writing what was in my heart. Whatever was in my heart, I was writing. The new record’s called Below Paradise. What does that mean to you, when you were writing that and now that this record’s about to drop? Below Paradise, to me, means that I am currently residing… My current state is below, what I would call, paradise. If life after death is eternal, if Heaven is there — and I believe it is — then the perfection and enjoyment of God and Heaven are, in a gigantic, enormous way, overshadowing and outweighing any pleasure or any excitement that could be had on this earth. Furthermore, the pain that’s felt in this world, and the grief, and the disappointment, and the heartbreak that happens in this world, according to the Scriptures, don’t exist in Paradise, with the Lord. There’s a hope that I have, that I wanted to share and express, but there’s also a reality we have that I wanted to highlight and bring more awareness to. I didn’t want to pretend like there were no bad things. I think that’s the way people enjoy it. They enjoy the happy endings. The movie ends, the guy doesn’t get the girl, and people feel let down. I’m like, in reality, that’s true. Divorce is real. Breakups are real. High school sweethearts don’t get married and sometimes when they do, they still get divorced. Parents don’t get married, they just have kids. Kids don’t have fathers. On and on, the list goes, of heartache and pain, from a family perspective. Then you get to senseless pain, where you lose a loved one. Or so and so’s in an accident. Or, what? They have cancer now? There are these realities we shield ourselves from, hoping that if we blind ourselves to them enough, they won’t come our way. Then they do, and you have to learn how to face them, deal with them, and exist with it. For the rest of my life, I’ll walk with a limp. There will be an absence. Even though God is faithful and fulfilling, there’ll be an absence. I can’t ignore that reality, of where we are, so that’s why I called it Below Paradise. Just imagine, you lose your leg and people still want you to deliver the mail the way you used to. You can’t. Even though you can still maybe operate the vehicle, there’s a learning curve. There’s a handicap. There’s even this emotional strain of, ‘I used to do it this way and now I can’t,’ so you just have to accommodate that and try to go from there. That’s kind of what I had to do. How long did it take you to finish this record? I remember talking to Andy Mineo about his last record and how he was recording vocals in one studio, on tour. They were making beats on the road, while you guys were doing Unashamed. It’s not like a rock record where it’s done in one or two studios. Hip-hop records — today — it seems like it’s tons and tons of places. Whenever you guys have time, you get in the studio and bust things out. Man, I was all over. I was in Dallas, I was in Atlanta. Those are the two places I recorded, but I wrote in Dallas and Atlanta and Houston and California, a couple times. I was writing anywhere I was able to travel and do concerts. I typically paused and wrote while I was there, too. It was probably a good, solid six months of work, even though three months of that was probably the more intensive recording part. I knew I couldn’t rush what this was. Just imagine, you lose your leg and people still want you to deliver the mail the way you used to. You can’t. Even though you can still maybe operate the vehicle, there’s a learning curve. There’s a handicap. There’s even this emotional strain of, “I used to do it this way and now I can’t,” so you just have to accommodate that and try to go from there. That’s kind of what I had to do. I completely understand. I was born with cerebral palsy so I know all about being disabled. I know every hip-hop artist has a basket full of tracks they toss aside. Why were these tracks the most important to put on the record? I think, for me, these tracks actually communicated the passion, the heart, the focus, the desire — all those things that aided in communicating where I was in the moment, what I dealt with. It’s really a journal with a goal. My goal was that this album would be a journal of my life over the last 12-to-14 months, and those tracks are the ones that communicated it the best. I think I ended up doing probably 35, 36 tracks and had about 22, 23 that I was like, “I love these” — maybe 24 — but with that all said and done, only 14 really helped tell and express the journal in the way that I needed it to, so that’s kind of what I did. It definitely goes from a journal with the song about your son, with the love letter to your wife. It has different points that, as you said that and I think back at listening to it, I can definitely tell you’ve definitely accomplished that goal. I love to hear feedback from people, but reviews for me will only mean so much on this one because I know it’s hard for somebody to really, fully grasp what you were doing, and what you were going through, so I appreciate the love and even the good critiques, but yeah, this one was way more personal. When I was offered this interview, I really wanted to know your thoughts on hip-hop today compared to yesterday, because when I grew up in the ’80s, it was positive. For me, I haven’t heard a good hip-hop record this year; in the secular realm it seems that there is just garbage. My question to you is why is that? Taking into consideration personal preference, and taking into consideration the idea of what was happening in the world, I, from a big viewpoint, like backing away, and going, “Here’s a large overview of everything I see.” I still feel like art, music, R&B, hip-hop, rock, country, whatever — these things do communicate a vantage point that comes from life in the world. There’s a reality that’s there. Art’s always expressed — from Shakespearean plays all the way to the greatest jazz musicians — they all tried to communicate an angst or a truth when it came to life, reality and their current situation. I listen to music and I still see that to an extent, but if music falls away from that, I feel like that’s when you get bad music. I feel like that’s when you get horrible music or just bad representations of art in any regard — in any genre. Hip-hop, specifically for me, left that to an extent. Granted, I get it, for their world, for their life. Maybe they go to strip clubs. Maybe they frequent bars and leave intoxicated. Maybe they never knew their dad and they just expressed the frustration of, “I’ve got to sow my oats” — whatever the frustration is. The problem is most people, when they do communicate about what’s going on in the world around them, they do it from such a selfish vantage point that you rob the world of a communal idea of art, and I think that’s what we try to do. That was definitely my goal. My goal was to have a personal take on a societal issue. Here is a societal issue. There is pain. There is hurt. Look at the 10:00 news. Look at CNN. Go watch Fox. Go watch MSNBC. Check out any news medium, newspapers, magazines and when they’re not trying to sell you the happy ending, you get the reality. I wanted to do the same thing from a personal vantage point and have a societal view in mind. That was my goal, so I feel like I’m still 100 percent authentically Christian on the album, and I’m still 100 percent authentically hip-hop because I get it and I understand the culture, but, at the same time, I feel like we rob people of the societal view of communicating what’s going on around us. Not everybody goes to strip clubs, thank God. Not everybody womanizes and looks at people from a horrible vantage point like certain music kind of explains, but everybody’s going through what we’re talking about. Everybody’s suffering in some regard, and my experience tells me if you live long enough, either you, a friend, a family member, maybe your children, when you have grandchildren, maybe their children will suffer and you’ll feel something. I’ve talked to numerous people who related to everything that’s happened to me. That’s why I think music, hip-hop specifically, might not be giving you what you’ve been looking for. … Even though I think Drake is a womanizer to an extent — I don’t know his heart, personally. I never met him so I’m not being judgmental, but listening to his music, Drake, who is the voice of pop culture and hip-hop to an extent, his music always communicates this angst about women that a lot of people relate to. A lot of dudes out there don’t know how to get it right and don’t have a savior who can help guide them in that, so they get with one girl in Georgia, get with another girl in Houston, another girl in Vegas, and then, before you know it, they’ve got songs about how they can’t find love and you’re like…? Everybody relates to that. Now, is that good music? It feels like Drake is expressing what they go through, so I guess, but at some moment for me I had to give an answer. That’s the goal. That’s what I was hoping to give. One thing I wanted to talk about is the darkness of hip-hop. It went from “Parents just don’t understand” to evil, evil, evil, man. That incident with Christ Bearer — and the crazy thing is his stage name is Christ Bearer — and for me, that was kind of mind blowing, because I had this interview with you and then what had happened with him. I’m grieved at the sense that people feel so much pain, hurt and loneliness they resort to certain things, such as (suicide). There’s a part of me that is sad for the brother, just knowing, at some moment, you’ve just got to go, “This is it.” People reach that point, and there was no one there, no word, or insight enough to be able to pull them off that ledge, and just the way it had happened and the way God’s plan was. That, to me, isn’t just indicative of hip-hop, but indicative of humans. Period. Doing what we do, you get to hear a lot of the success stories, but there are many kids you meet at events, and then come back a year later, and they’re like, “Yeah, so and so is not with us anymore. He committed suicide.” It’s like, “Really?” It blows your mind that that’s where people can get to based on the influence of the enemy or their own thoughts, and it becomes the reality for so many. (Hip-hop) was coupled with darkness for a while, whether you get into… Again, the beast that people have. There are dudes who have died for this. He got to a dark place on his own, but there are people who are like, “I want to bring bodily harm to you,” and they kill each other. I’m not aware fully of the reasoning behind why my man would do this to himself, but my thought just goes out to the fact that, man, this is a world that needs an answer, that needs hope, and they can’t find it in and of themselves. Man, honestly, so when you look at anything in hip-hop that’s taken place, whether it was the beef between East Coast, West Coast, 50 and Ja Rule, if you keep going forward to the beef between Drake and Common… Wherever you’re looking, at some moment, these guys lost respect for one another and believed something else about the other. For us, we walked into the game with no respect and people believing what they only could see from afar, or they never took a look. We’ve had — by God’s grace — opportunities to present ourselves to them and allow them to take a look, and then once there’s an interaction — I realized these are humans, these are people, who have pain and hurt, who have joys and triumph, and they kind of see the same thing and they relate. There’s just an ability to find the commonality that then opens the door for a relationship, that’s how that happens. It’s not like they only said, “Yo man, you can really rap. We should be friends.” It’s really, “Yo man, you’re a real individual,” and that’s what people are looking for. They’re looking for genuine, truthful, real individuals who can relate to them where they are and then, in some way, be of benefit beyond the norm, because living in a world where everybody wants what you got or where everybody wants to be with you because of what you’ve got, it’s hard to find genuine sometimes. What is the plan once this record drops? I know you guys are always on the road, but what’s the one thing you really want to accomplish with this record? I want it to be transparent and allow people into my world, and personally share where I was, and hopefully that will be of benefit. Then, lastly, I do hope to be able to hit as many places as I can with the message of this album and really affect and cause change, man. If we could embrace the truth that there is a season to rejoice as well as a season to mourn, then we won’t be so blindsided by the mourning part. And maybe, just maybe, in the mourning we may find calls of rejoicing even in that, so that’s kind of the hope. Do you know when you’re going to start your tour for this record so fans will know where? I don’t have any touring info as of yet for my personal stuff. We’re still working on that, but I should have something soon, probably in the next couple of weeks. I am doing the Shed tour with TobyMac, Skillet, Crae and then some other artists that’ll be on there as well. That begins May 1. Are you excited about doing a tour like this? Because I know you’ve done tours like this before, do you like the multi-genre tours more than you like just the straight hip-hop tours? I think I do. I like meeting new people, so there’s a joy for me whenever I get to jump on the road with our label. There’s a brotherhood there, a familiarity, and we’re family, so it’s like, “Oh, I’m back with my brothers,” so there’s no joy lost there. But it’s exciting for me to meet new people and experience what they do within this world. Like you, being a journalist, being able to get with other guys who write, or do what you do, (guys) you say do it well. There’s a certain excitement that comes from that as you begin to challenge one another, learn from one another and admire the other’s abilities, so that’s kind of what this will be for me. How many new tracks are you planning on doing for this tour? I’ll definitely have two, and I may try to add a third, but we’ll see. I’m not sure just yet. Still working that whole set list out? Still working the set list out, just knowing that I have Crae on the tour, so I want to be able to maybe include him in the set, maybe not. Plus there are some cities we’ll hit where I know artists live, so considering that, I’d love to get some cameos from different guys, but that may not be able to happen. Still thinking everything through. Is there anything I didn’t cover you would like to talk about? About the record? I’m hoping — and I think you might be able to concur and confirm for people — I’m hoping they realize I’m not the only one doing this, I’m not the only one with this ambition and effort, but I’m just hoping to bring real music to people, man. Who did you get to record with on this record? I was blessed to be able to work with the brothers from the label. Everybody’s so busy now, doing their thing, it’s not just a given that cats will be free to be able to work. I got to do some stuff with Andy (Mineo). Crae is on the album, and that was, like, the Lord’s grace because he was out of town forever doing other jams. I wasn’t sure if he was going to be able to make it happen, but he was able to make it happen. Then I got (to work) with Britt Nicole. She’s an amazing vocalist, and honestly, I knew Britt was killing it and doing her thing, but I had no clue how many hip-hop dudes were like, “I know who that is.” Like, “For real? You know Britt Nicole?” Apparently her span is far reaching. Then there’s some other guys on the album. Christon Gray is on the album, so I’m excited about the joint with him. Yeah, I got to work with some dope people. 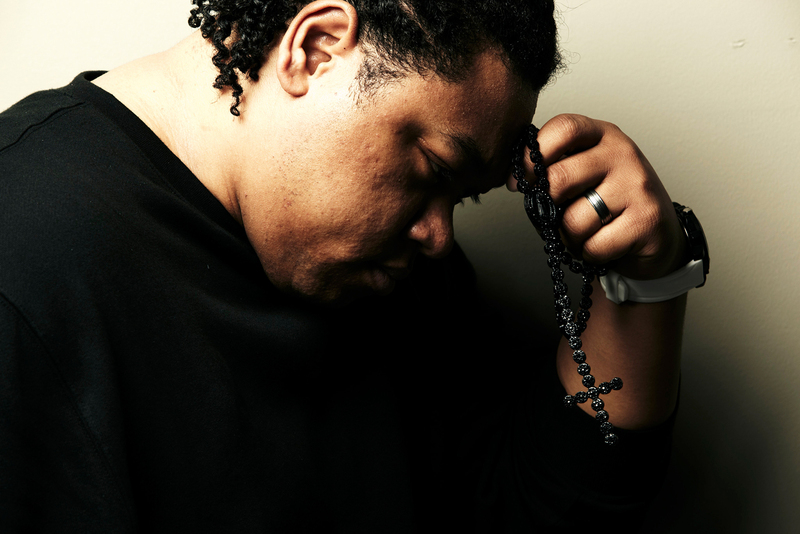 Tedashii was posted on May 7, 2014 for HM Magazine and authored by Rob Houston.